When I was first hired by Curcio Law, every day was a dream. I was so happy to have a job, to be working, I was willing to do anything around the office. I imagined my life would be a lot like Anne Hathaway’s in The Devil Wears Prada, picking up Harry Potter books and coffee for the office. Whatever I had to do, it didn’t faze me. I was working, I was happy. Well fast forward a year, and I’m still incredibly thankful and happy for my job, but I’m glad I don’t have to get coffee or magical wizarding books for the attorneys! However, celebrating my second Labor Day as an employed “adult” got me thinking—what is this day about? Labor Day, the unofficial end of summer, is about so much more than the pools closing and a day off to huddle away from hurricanes. It draws from the history of the American Labor Movement, the creation of trade unions, bearable working conditions, limited work weeks, mandated breaks, everything that we somewhat take for granted and expect today. We need to thank the Pullman strikers from 1894, who stood up to the railroad corporations and wage reduction by going on strike. The peaceful protest turned dangerous quickly and many men lost their lives. The protest was not “good” by any means, as within the movement itself was a lot of racial tension and public prejudice. 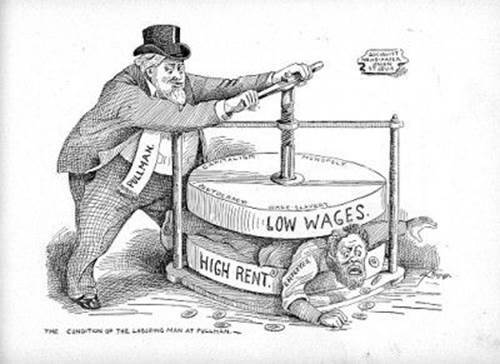 However, without the sacrifices those men made, the United States Congress and President Grover Cleveland may not have unanimously voted to approve legislation to make Labor Day a national holiday and sign it into law, thus giving the Labor movement and trade unions more power to protect the workers. Labor Day is dedicated to the social and economic achievements of American workers. It is a day to honor all that American workers do. It’s a day to be thankful that we have mandatory breaks and we have rights and privileges, as many people in our past did not have these luxuries. It’s a day to be lazy because every day we work hard (hopefully). Curcio Law wishes everyone a happy and safe Labor Day. Our office will be closed Monday, September 5, in observance but will reopen on Tuesday, September 6.